A problem has been arising for many homeowners lately. When these homeowners install new ultra thick and plush carpet, usually called ultra soft carpet, their central vacuum systems have had a tough time picking up debris from the floor because they are suctioning into the carpet and won't move. The super thick carpet causes the brush head of the vacuum to suction and seal into the carpet because it is so thick and air can't flow through into the vacuum. This doesn't allow the brush to move across the floor and pick up dirt and dust. But there is a simple solution. The air flow relief wand allows for airflow adjustment. By adjusting the airflow, it will break the suction that the brush head has on the floor, and can easily move and work again. Here's how it works. 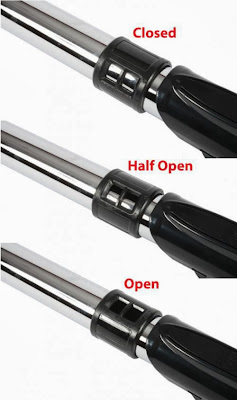 On the wand near the handle, there is a valve that twists and can change the airflow power. 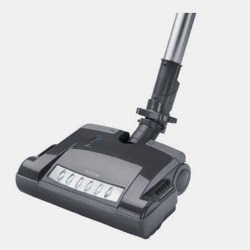 Turn it closed for use on traditional carpet or hard floors, turning up the suction power all the way, or twist it open to adjust and lessen the airflow and suction power for use on ultra soft carpet. These new wands are two pieces- the top wand, which connects into the central vacuum hose, and the bottom wand, which snaps into the top wand and then connects into the brush head. Please leave a comment with any questions or call us anytime!